The Ministry of External Affairs on 14 January welcomed the statement released by Pakistani Prime Minister Nawaz Shairf on Wednesday that listed the steps his country was taking to nab the perpetrators of the Pathankot attack. 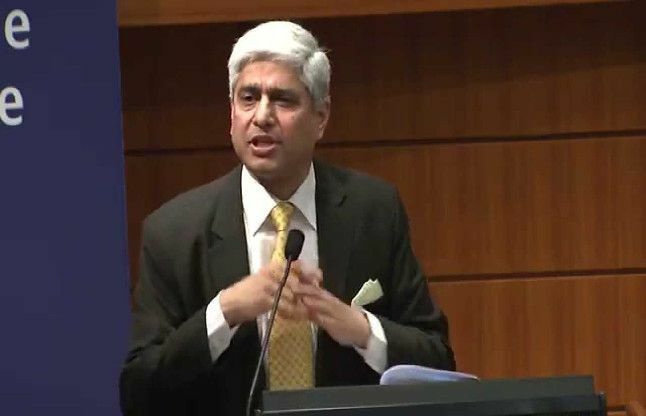 MEA spokesperson Vikas Swarup clarified that that there was no breakdown in talks between the two countries. He announced that the Foreign-Secretary level talks scheduled for 15 January had been postponed to a recent date. He said the decision to reschedule the talks was mutually agreed upon by both nations. He also highlighted the fact that both countries needed some more time to begin the talks - which were supposed to chart out the moralities of the resumed bilateral talks. Swarup said that the Pakistan government's crackdown on Jaish-e-Mohammad offices and members was "an important and positive first step". He welcomed Nawaz Sharif's proposal to send a Special Investigation Team to Pathankot - a first for India. Swaroop also said that India had more evidence to provide in connection to the Pathankot terror attack. Indian officials had provided Pakistan with evidence about the 2 January Pathankot attack - including all recordings and numbers that traced backed to the Jaish-e-Mohammad, an outlawed terror outfit headquartered in Bahawalpur, Pakistan. Swarup said there was no confirmation from Pakistan on the reported detaining of Jaish chief Masood Azhar.